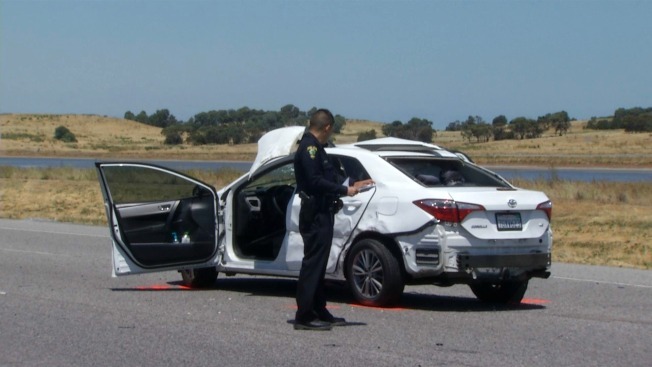 Both directions of the Bayfront Expressway in Menlo Park are open Saturday afternoon following a collision earlier in the day that closed all eastbound lanes, police said. Two drivers were involved in the wreck, which occurred around 9:20 a.m., according to police. One vehicle managed to strike a pole before sliding back into the middle of the roadway. The driver of that vehicle was transported to a nearby hospital, according to police. The other driver was not hurt and released after speaking with police. As of 1:06 p.m. both directions of the highway at Chilco Street were open. No information on the collision was immediately available.